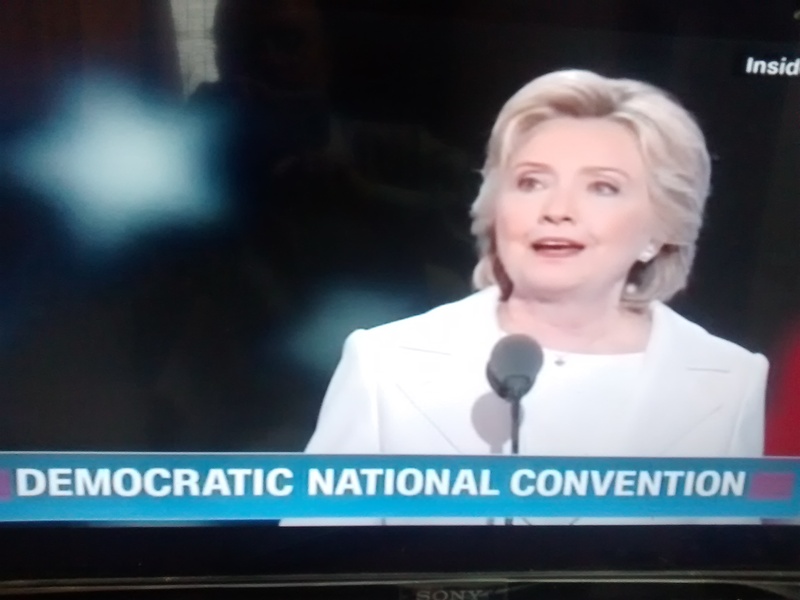 ” Democratic National Convention, Day 4 – “Unity” Theme Score 90/10 ” – July 28, 2016. Day 4 of Democratic National Convention, where U.S.A. made history by Hillary Clinton accepting the nomination of the first woman as ‘Presidential Nominee’ of any major political party (Democratic Party), had two distinct sections : the First by a sequence of speeches on “faith, morality, and patriotism” from a broad spectrum of people as Governors of States; Republican man and woman for Hillary Clinton; the only female hispanic sheriff in U.S.A.; veteran military general; Medal of Honor recipient; father of a muslim soldier who sacrificed his life for protecting groups of people – all constituting the Convention Day’s prefatory to the Magna Carta to follow in the weeks and months in the sense of academic parlance; and the Second constituting a fitting finale to the 4 day long convention i.e. 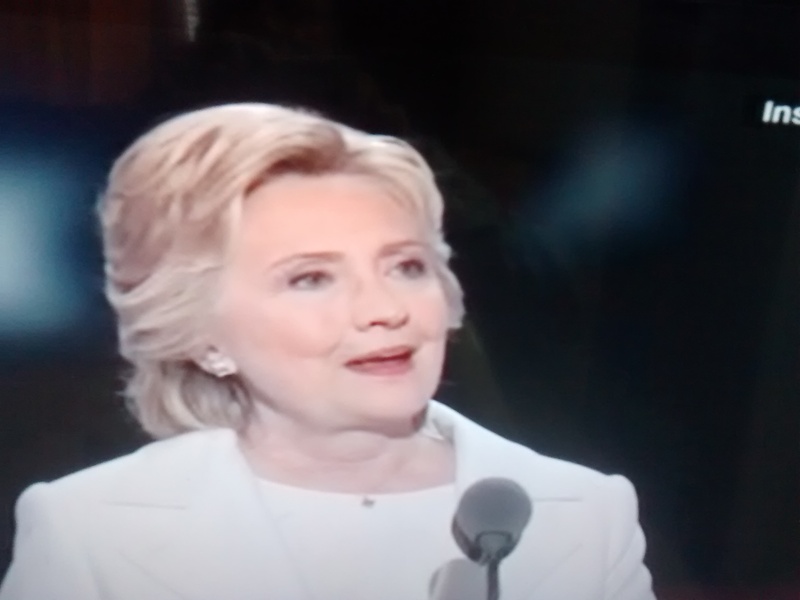 the highly efficacious speech by the Presidential Nominee, Hillary Clinton. Preservation of “Liberty, Equality, and Independent rights” , the cornerstone of American Democracy, was emphasized by everyone in the First Session in his/her own style and organization of thoughts. Of significance in this session was the one from General John Allen (retd.) who described the U.S. military as the ” indispensable transformational power that U.S. will be to friends, allies, and partners”. Audience could not have been given as strong an elixir as this to elevate their mood and spirits through the event. 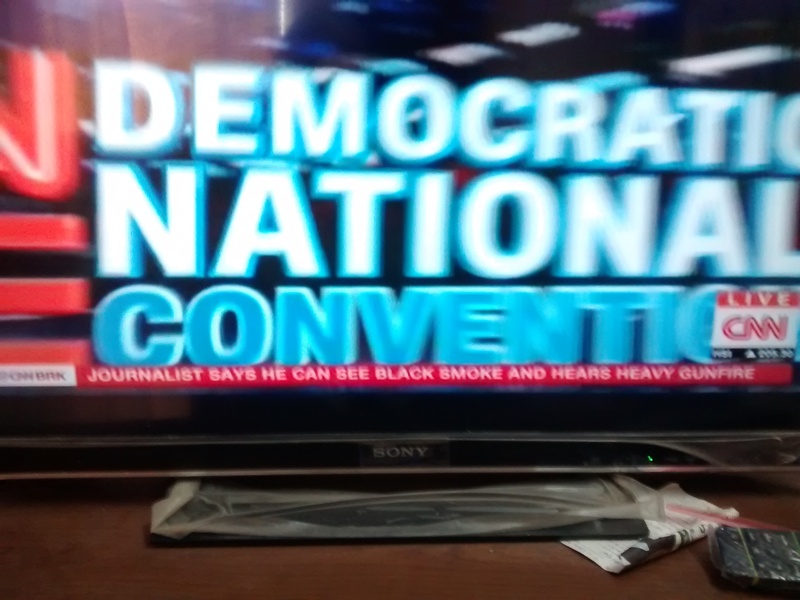 In the Second and the key event of the Convention constituting the Presidential nominee’s speech, Hillary Clinton sought to set her theme on “transformation of the progressive platform of the democratic party to effecting Real Change in future”. Tracing the story of America to the present New Chapter of America, she first compared the present situation to the one faced by the founding fathers 240 years ago when some wanted to stick with the King and some others to stick to the King, but finally finding a compromise marked by common purpose enduring the times with unity. It is the same moment of reckoning now for us and we need to embrace each other and live stronger together, Hillary averred. She also invoked FDR’s, ” the only thing that we have to fear is fear itself ” reproving severely Donald Trump’s attempts to create and benefit from the fear of people. Americans are the most dynamic and diverse people in the world; American military is the most powerful in the world; American enterpreneurs are the most innovative in the world; and America is home to highly enduring values; and we have a duty to protect them – she added. Hillary Clinton gave due credit to the President and Vice President’s record of saving U.S. from recession. “I am better because of President Obama’s friendship, and Bernie’s cause is our cause” – her words according significance in bringing the party together and making attempts to continue the good action/progress of the last seven and a half years. Her speech lasted nearly 60 minutes. Focusing her speech on the “why” and not so much the “what” aspect of her experience and accomplishments, she proceeded to draw a roadmap for empowering people and making America prosperous with the twin objectives of : (a) more opportunities in life for people; and (b) more good jobs with good wages since World War II. Her solution would lie in effecting the above two objectives. In an effort to offer some specifics, she resorted to the “If you believe” then “join us” corollary citing where and how the economy and social structure will work : by improving and enhancing productivity; by standing up to China; by avoiding unfair trade deals; by making Wall Street Corporations and the super rich pay their fair share of taxes; by rebuilding trust between law enforcement and the communities they serve; by defending the rights of every citizen; by admitting that climate change is real and increasing clean energy jobs; … … in her bold agenda to keep the people safe, strong and prosperous. In possibly a hint of her eagerness to associate Bernie Sanders in her programs, she talked about Wall Street never to be allowed to wreck the Main Street; and making college tuitions free for middle class and debt free for all. She also added that Bernie and I will work together. Exposing Donald Trump to the merriment of the audience, she said that in the 75 minutes of his speech last week in Cleveland he failed to put forth a single solution. She gave expression to her strong feelings that any President shall be a President for Democrats, Republicans, Independents, and all others who are struggling, and surviving for success, and she averred that she will be ‘one’ such President when elected. In sum, Hillary Clinton’s speech sought to reposition the party with words implying, ” No one gets through life alone; we have to lift each other now”, even while solemnising her principle of ‘stronger together’. America will never be a nation where one person will have all the power – our founders put this in our Constitution – she emphasized. With 102 days left for the D-day voting, and people still remaining open to challenges and promises from many, the playing field is still unclear. My subjective rating of Unity, nevertheless, improves and stands at 90/10. Will the momentum gained be sustained ? Success lies in maintaining that ! Tidbit : ” I am more comfortable with the service part of Public Service than the public part”. – Hillary Clinton.